See how you can analyze visitor behavior to shorten sales cycles. 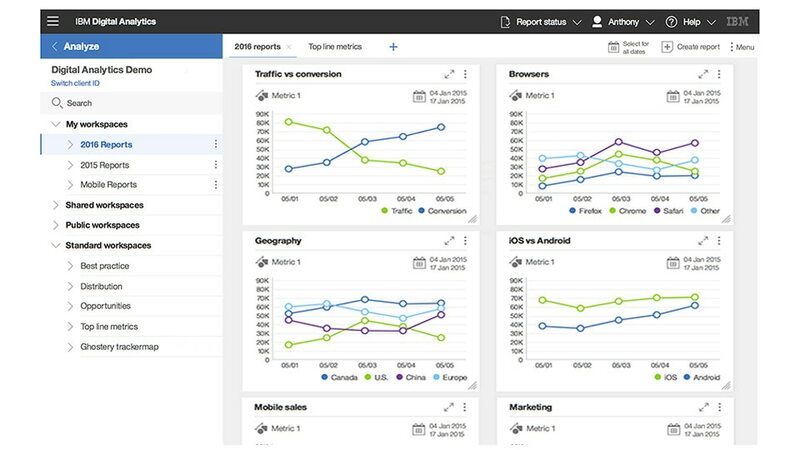 Watch an overview of IBM Digital Analytics capabilities. Read how Homebase was able to assess customer preferences and serve tailored content. Read how Koçtaş identifies correlations between customers’ browsing, purchasing and website drop rates. Learn how FreshDirect identifies customer preferences on the digital channel and improves segmentation. Learn key attributes for a winning web analytics solution. Learn how to leverage analytical tools to drive better search results, increase conversion and ultimately increase revenue.